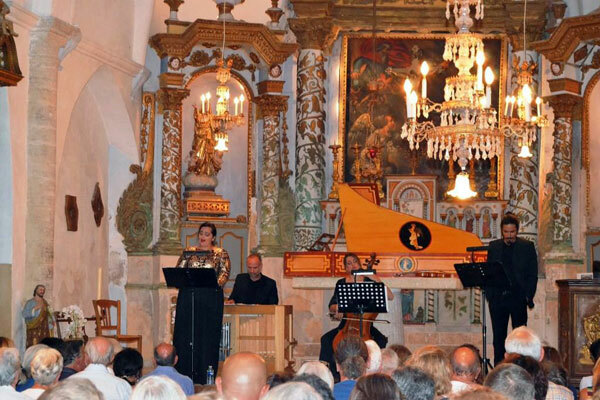 The Festival de Musique Ancienne de Callas honored from July 17 to 27, 2016 the baroque music with sublimes works interpreted by prestigious ensembles. 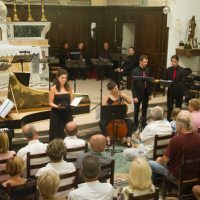 The Festival de Musique Ancienne de Callas has been presenting for 26 years some remarkable works performed by international highly talented ensembles. 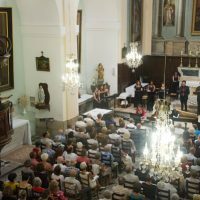 This year, splendid works by Vivaldi, Monteverdi, Carissimi, Handel, Purcell and Bach resonated under the vaults of churches in Callas, Châteaudouble and Figanières. 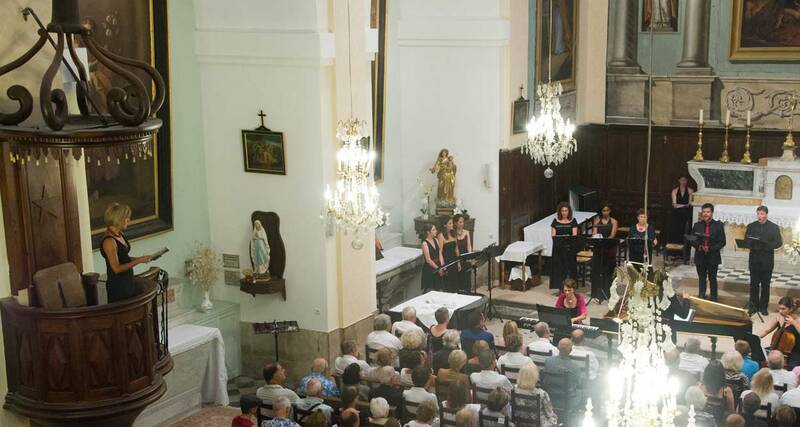 Places of worship became cultural venues, where the mystery of faith is conducive to celebrate the mysteries of the human soul exalted by the baroque music, secular or sacred. 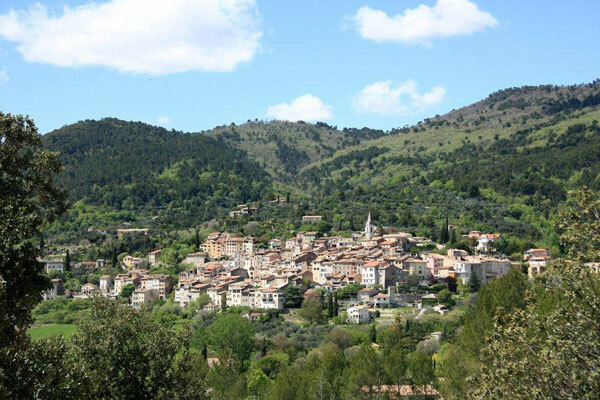 At the heart of the Var and the Provencal countryside, between sea and mountains, the charming village of Callas spreads its houses in cascades under the Midi sun, popular with poets and artists. 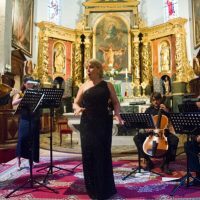 For 26 years, in July, the village provides to music lovers its charms, its gastronomy and its exceptional quality of life during the Festival de Musique Ancienne de Callas, chaired by Françoise Barre, also Artistic Director. 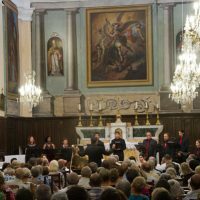 The works have been performed at the Church Notre Dame de l’Assomption of Callas but also in the churches of the surrounding villages, like this year, in the Church of Notre Dame de l’Annonciation in Châteaudouble and Saint-Michel Church in Figanières. 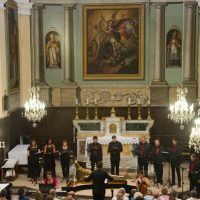 Advocating diversity, quality and requirement, the Festival was a great success with packed audiences and a public very satisfied with the artistic choices. 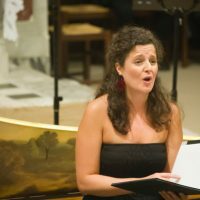 Works such as Handel’s Dixit Dominus, the Mass for Four Choirs by Carissimi or Purcell’s Music for a While and Ich Habe Genug by Bach, were interpreted by prestigious formations with period instruments, in which express great performers like Gemma Bertagnolli who sang Vivaldi. 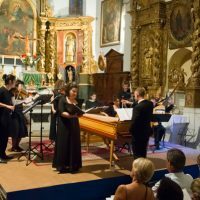 Stir the passions of the soul, such is the design of the Baroque era which began in Italy with works by Claudio Monteverdi and ends with the contemporaries of JS Bach and Handel. 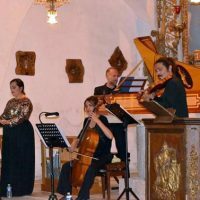 The baroque style is a learned and sophisticated style, characterized in particular by the importance of the counterpoint, a harmony enriched by the importance given to the ornaments and increased expressiveness of the orchestra with continuo and a group of soloists. 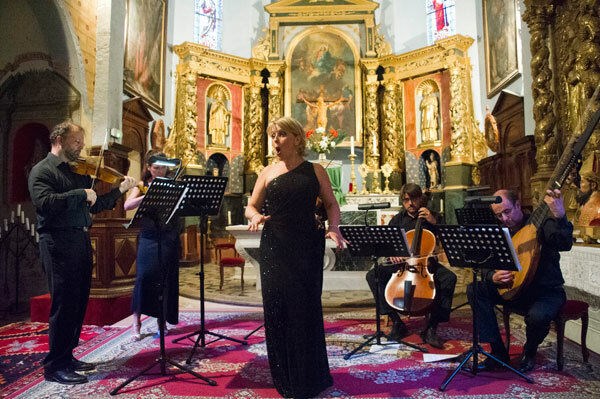 Opening the Festival de Musique Ancienne de Callas, Sunday, July 17 at the Notre Dame de l’Assumption Church in Callas, the Ensemble Archipelago – conducted by 1st violin Lorenzo Colitto – and the soprano Gemma Bertagnolli performed works by Antonio Vivaldi. 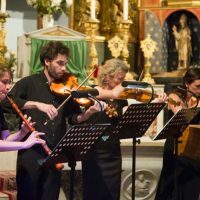 Four other instrumentalists – 2nd violin, viola, cello, theorbo/chitarra – compose this prestigious ensemble. 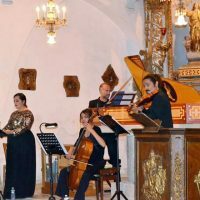 The concert began with the Farnace air full of tragedy Gelido In Ogni Vena, describing the anguish and pain of Farnace, defeated by Pompey. 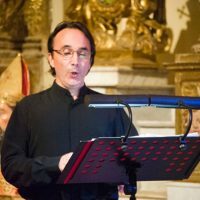 La Speranza Verdeggiano, then interpreted is the first Vivaldi opera for Venice, with a libretto by Grazzio Braccioli in 1714. 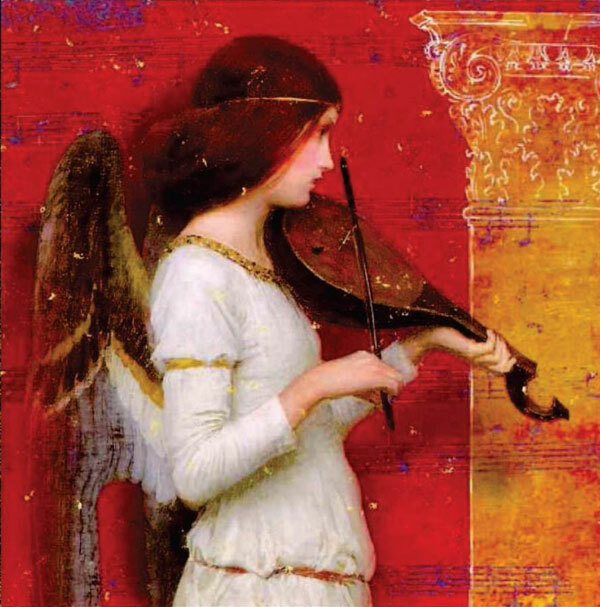 The opera is taking place in the realm of Organa where Angelica wants to end the reign of the sorceress Ersilla. 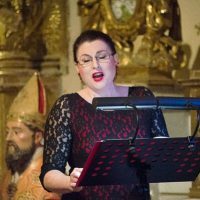 An oratorio, Armatae Face and Anguibus, a psalm Laudate Pueri and a motet In furore Iustissimae Irae, followed, all brilliantly interpreted by the sublime singer Gemma Bertagnolli. 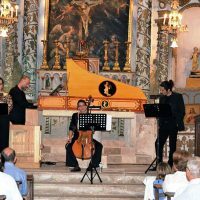 On Wednesday, July 20, at Notre Dame de l’Assomption Church, the Ensemble Energeia played works by Bach including the famous Ich Habe Genug, praising the happiness of the person filled with faith and the presence of Jesus. 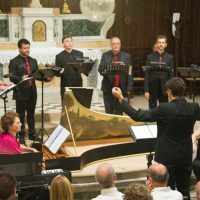 The Ensemble Energeia is composed of Jean-Dominique Abrell (direction, organ and harpsichord), Brigitte Peyré, soprano and Michel Géraud, against-tenor and six instrumentists (1st & 2nd violins, viola, cello, double bass, oboe). 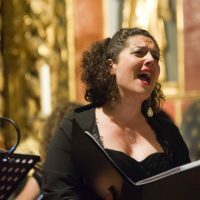 The cantata Ich Habe Genug starting point is the story of Simeon who recognizes the Messiah in the child Jesus and his life is filled with joy. 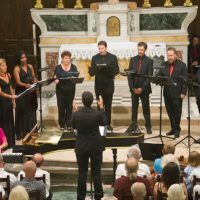 The Ensemble Energeia then performed the cantate Vergnügte Ruh, belibte Seelenlust. 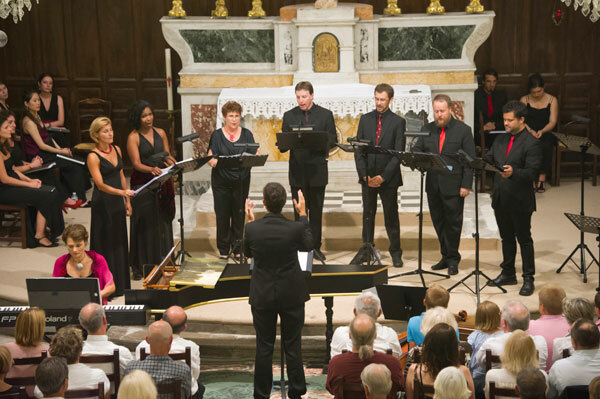 The cantata deals with the desire to lead a virtuous life to enter heaven and avoid hell. 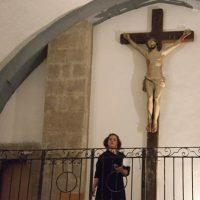 Another work played, Mein Herz schwimmt in Blut – my heart is bathed in blood – refers to the sinner who finds redemption in God, a meditation on repentance and forgiveness. 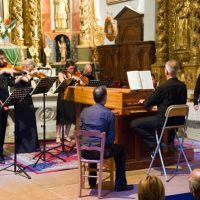 On Friday, July 22 at Notre Dame de l’Assumption Church, the Concert de l’Hostel Dieu, under the direction of Franck-Emmanuel Comte (organ and harpsichord), performed in the first part some works by Vivaldi, Scarlatti and Handel. 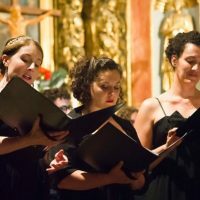 The intermission was followed by the Dixit Dominus, a musical work by Handel, composed and created in 1707, whose text comes from the Psalm 101. 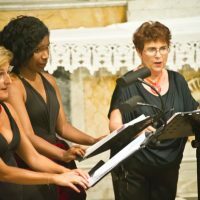 The Concert de l’Hostel Dieu includes 5 vocal soloists (two sopranos, 1 contralto, 1 tenor, 1 baritone) accompanied by eight musicians. 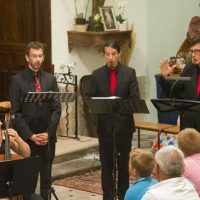 The ensemble has interpreted excerpts of works by great composers: the opera Dorilla in Tempe by Antonio Vivaldi; the oratorio Quel buon pastor sono io by Antonio Caldera; Cain, ovvero Il Primo Omicidio by Allesandro Scarlatti; Semiramis by Vivaldi. 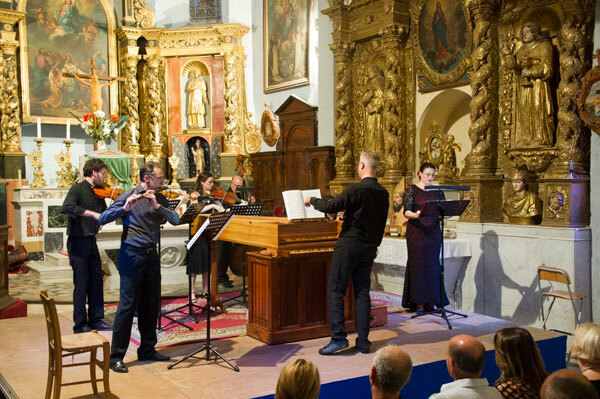 Two works by Handel preceded the Dixit Dominus: Aci, Galatea & Polifermo and La Resurrezione. 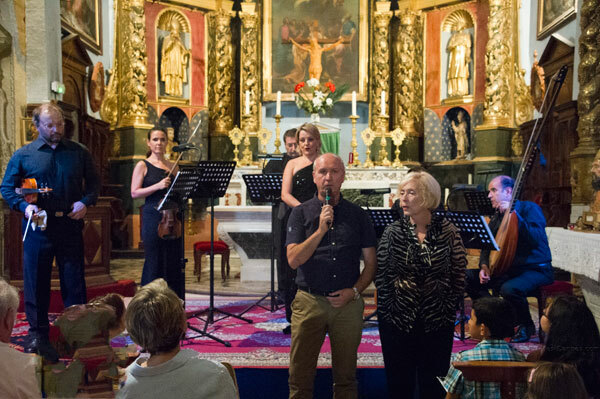 On Sunday July 24 at Châteaudouble, the Concert de l’Hostel Dieu continued his wonderful musical performance in the Notre Dame of the Annunciation Church, a hilltop village in Dracénie which overhangs the impressive, deep, very sinuous and green Châteaudouble gorges, dug by the Nartuby. 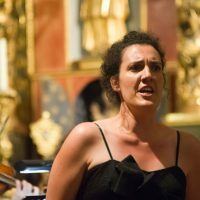 To play Music for a While by Henry Purcell, Franck-Emmanuel Comte conducted the mezzo soprano Anthéa Pichanick, accompanied by two musicians (violin, viola da gamba). 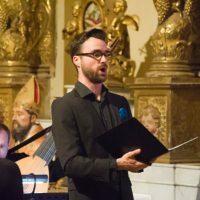 Henry Purcell (1659 – 1695) composed secular and sacred music, and wrote for the royal events. Till the snakes drop from her head, and the whip from out her hands. 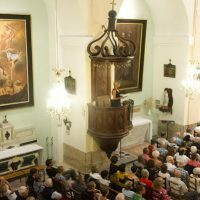 The closing of the Festival de Musique Ancienne de Callas took place on Wednesday, July 27 at Figanières in the Saint-Michel Church. 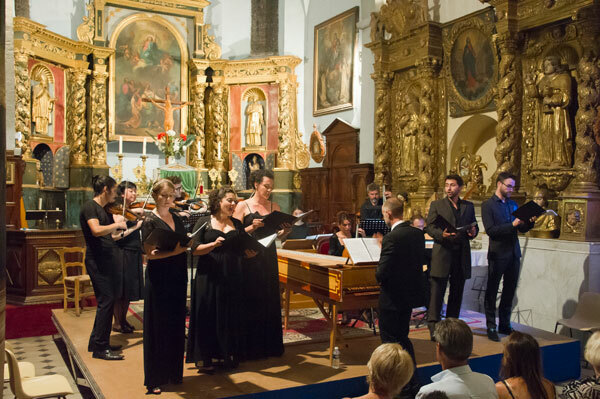 The prestigious Ensemble Baroque de Monaco under the direction of Mathieu Peyrègne, has performed works by Monteverdi & Carissimi, among the most beautiful polyphonic works of sacred and baroque polyphonic music of the Seicento: Claudio Monteverdi, with sung pieces for 5, 6 and 8 voices with 2 answering choirs, a cappella or with accompaniment, with Camille Mugot at the harpsichord. 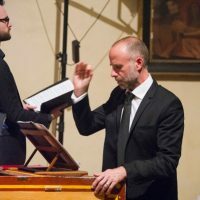 In the second part, the ensemble played an unprecedented mass by Giacomo Carissimi: a masterpiece for four choirs, sixteen voice sounding their beautiful harmonies by sets of responses. A few kilometers away from Le Muy, surrounded by a terroir devoted to vines, Callas is a first step on the road to the Verdon Gorges. The village owes its fame to the famous Hostellerie des Gorges de Pennafort and its starred chef Philippe Da Silva, a haven of peace and gastronomy overlooked by the Chapel of Pennafort, venue of an annual pilgrimage in an exceptional landscape. Besides its quality restaurants, gastronomy and lifestyle are also well represented in the village: the Moulin de Callas presses a famous extra virgin olive oil, Gold Medalist in Paris. Gold medal also for the “à l’ancienne” Vinegar vintage Confidential from Vinaigrerie du Clos Saint Antoine. Finally, equally renowned, the wine from La Bastide du Plan, Gold medalist also, sublimates the dishes of the regional gourmets. At the bottom of the village, the J.M. Blanc workshop perpetuates the popular Provencal tradition with its hand-painted santons and cribs accessories.